This ionic balancing formula has 55 ingredients to repair the skin layers. Filorga actively repairs the skin to replace minerals that are deficient such as Magnesium, Sodium, Potassium and Calcium. Filogra stimulates production of skin cells so that the added nutrients and vitamins can work in optimum conditions under the skin. It also stimulates human tissue growth. This treatment can help eliminate dark circles under the eye area, as well as reducing nasolabial folds and marionette lines. A number of other benefits include redefining the nose-eyebrow area and increasing lip volume. There are 13 vitamins inside Filorga. Vitamins A, B, C and E are just a few that contribute to skin cell stimulation. Alongside this, there are also 23 different amino acids that help produce elastin and collagen, two significant proteins making up the skin layers. To combat free radicals, there are also 2 anti-oxidants to ensure your skin remains healthy and glowing. 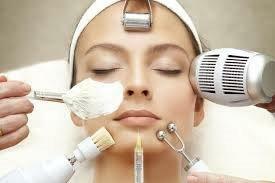 How Many Sessions are Required for MesoTherapy Treatment with Filorga?